Garage organization may seem intimidating but we're here with solutions that are durable, versatile and easy to install. At The Container Store, you'll find garage storage ideas that include lawn & garden organization, tool storage, watertight boxes and trunks and the perfect storage rack for your bike, golf clubs and sports gear. We'll help you make the most of wall space with a variety of garage shelving options including Elfa Utility and Elfa freestanding solutions. 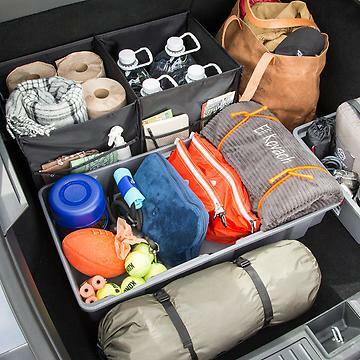 Garage storage drawers, Elfa Utility boards, parts boxes and tool racks provide instant work-bench organization. 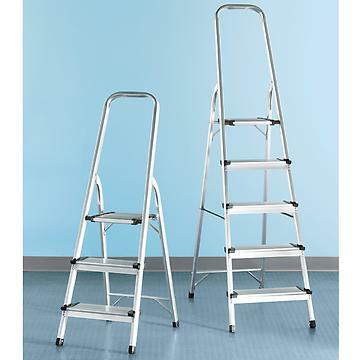 We've even gathered our favorite ladders along with ergonomic, professional-grade tools and hardware so you can tackle any household task with confidence. Made from rustproof stainless steel, our Ultimate Hammer Tool is invaluable for the home, car, dorm room or kitchen. It includes a hammer, pliers, wedge, scissors, knife, saw, file and Philips head screwdriver. A carry case with a belt attachment is included.